Amazon has become such a critical source of revenue for countless internet retailers, distributors and manufacturers that it can afford to make up all the rules and leave it up to third parties to figure out how to meet them. Such is the power wielded by a retailer with 38 percent year-over-year revenue growth. Part of the online retailer’s rapid rise can be traced to its Amazon Prime service, where customers pay a monthly or annual fee for free two-day shipping on millions of items. For years, companies that offered Amazon Prime had to do so through a program called Fulfillment by Amazon (FBA). Vendors using Fulfillment by Amazon received orders, sent those products to an Amazon distribution center, and the company handled delivery from there. Starting in 2015, Amazon offered an alternative to FBA when it launched Seller Fulfilled Prime (SFP), which allows eligible companies to fulfill Amazon Prime orders on their own. Amazon Sellers now have the same benefit that FBA listings have for Prime eligibility while handling storage, packaging and distribution in-house, no longer paying Amazon to execute these tasks. But being accepted into the SFP Program is not without its challenges. Let’s explore some of the potential walls you could run into through this program and how you can plow right through them. Amazon is determined to provide its customers a positive, painless experience, so it needs every order delivered on time with no hiccups. It tracks these standards closely to make sure all sellers comply with them. When vendors slip up, Amazon is not afraid to end what is an extremely valuable relationship for the seller. A vital sales channel –the most important revenue stream, in many cases – can disappear quickly if you don’t play by the rules. Prime is financially viable for third parties because Amazon covers the shipping. On the surface, this is a major advantage – if gives them access to 90 million Prime customers who spend nearly twice as much as non-Prime Amazon customers. Alas, there is a catch. The shipping label and information must come from Amazon, which means Amazon needs detailed specifications about all of your SFP orders, like ASNs, dimensions and weight. This is done through Amazon’s new shipping API to provide the seller Amazon negotiated rates and service levels including two-day shipping, delivery options on Sunday, and same-day delivery. However, the orders must be completed quickly to keep up with the delivery window and requires one of the approved shipping service carriers to be able to pick up at the seller’s location at or after 4:00 p.m. local time. More advanced facilities have a warehouse management system (WMS) to automate this process, but it is still not hassle-free. While Seller Fulfilled Prime streamlines the fulfillment process for businesses selling on Amazon, it still complicates workflows in the warehouse. Sellers must either process Amazon Prime orders separately or, for those with larger volumes who cannot afford such inefficiency, have custom built process within their ERP, WMS or shipping solution. Some vendors configure their warehouse management system (WMS) to group these orders into a discrete wave and make sure they leave the warehouse first. However, a separate workflow can result in inefficiencies in the outbound order process, increases the chance for errors and could cause confusion among the distribution center (DC) staff. If a handful of orders are not properly flagged, it could have damaging consequences. Vendors who lack such best practices risk breaking Amazon’s Service Level Agreement (SLA) around 99 percent on-time delivery and less than 1 percent cancellation. Amazon’s motivation for launching Seller Fulfilled Prime is that it will help get products to consumers faster and cheaper because it cuts out the middle man. 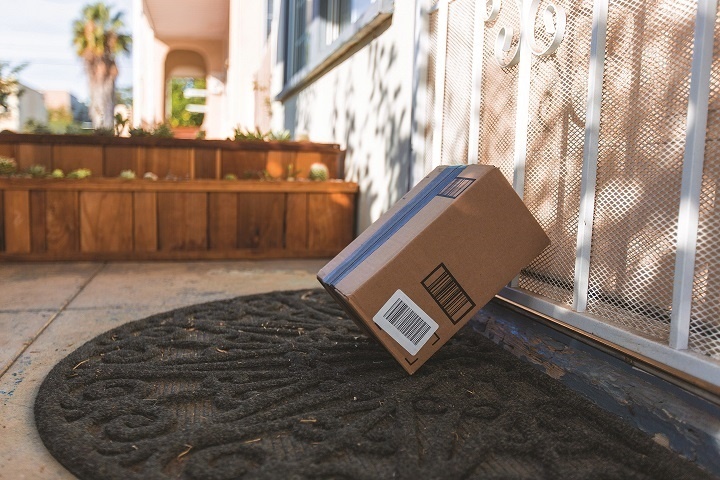 In addition, Amazon is also rolling out testing of its own delivery service this year to replace what is now done by United Parcel Service (UPS) and FedEx. Under this new service, company couriers will pick up products from businesses that sell goods via internet retail and deliver to Amazon warehouses. This is in line with Amazon’s overarching strategy – every decision Amazon makes is based on better serving its customers. But this move may shed light on its future plans. Perhaps the standard for Prime will shrink from two-day delivery to one-day delivery or, in the more distant future, same-day. Same-Day and One-Day Prime is already available in certain areas, and it will surely expand in the near future. When that happens, it will require sellers to be ultra-efficient. All of the hurdles presented in this article become that much bigger of a problem when the delivery window is cut in half. In other words, it will become mandatory to find a way to unify SFP orders with those from other channels. Luckily, there is a solution. The two key pieces for streamlining Seller Fulfilled Prime orders are a best-of-breed warehouse management system (WMS) and a shipping solution that integrates with the WMS. Supply chain execution software vendors have enhanced these solutions to integrate directly with your Seller Fulfilled Prime account. When an Amazon order comes into your WMS, it can be allocated into a wave with orders from other sources to increase the efficiency in your warehouse operations. The shipping software integrates or communicates with Amazon’s API to identify the least-cost option to get the order to the customer in two days. It then prints a Prime-compliant label that can be affixed to the box once picking, sorting and packaging is complete. This creates a single workflow for SFP orders with minimal touchpoints and therefore much fewer opportunities for error. Since there are no separate workflows for Amazon orders, other eCommerce orders and retail store replenishment orders, it should reduce headcount and labor costs. It also streamlines the overall process to help stay within the terms of Amazon’s SLA to safeguard your business’ relationship with such an essential platform. Not only do you stay on good terms with Amazon, but it’s much easier to push these orders out of your warehouse during a condensed window with minimal disruption to your business. Amazon’s Seller Fulfilled Prime program opened the door to a new source of revenue for a long list of internet retailers, distributors and manufacturers. Companies that may have held off before because of Amazon’s fees, unique requirements (fragility, seasonal spikes, etc.) or the need to control all of their own inventory (particularly important for larger organizations) can now climb aboard the Prime train. Since Amazon has extended the SFP Program, sellers are faced with new challenges and higher performance standards. But they can be mitigated with the right systems and processes in place. Investing in the right technology will pay for itself many times over for top Amazon sellers.